To sign up for the Beach Vault, please complete the form below. After you click the "Register Now" button you'll be redirected to PayPal to complete the payment. **Divisions will be removed when they fill up. If you do not see a division that meets your PR, then please call Mike at (856) 231-0769 for assistance in placement. The Elite Men & Women's Divisions Will Now Compete on Sunday at 10am. I hereby grant permission for my child to participate in the Vertical Adventures’ Jersey Jumps Beach Vault, to be held August 4 - August 5, 2018 in Seaside Heights, NJ. I verify that my child has had a physical exam in the past year and is able to participate in the activities related to the Vertical Adventures Jersey Jumps Beach Vault. I agree to indemnify, hold harmless and defend Michael Pascuzzo, Vertical Adventures, Robert Amos, Nickolas Tyson, All Vertical Adventures Beach Vault Coaches & Staff, All Beach Vault Sponsors and/or their agents or employees from any and all liability for injury to my child, as well as any injury or damage caused by my child. Should medical treatment for my child be necessary, I hereby authorize any physician, trainer or EMT selected by Beach Vault personnel to order and conduct medical or surgical procedures necessary. I also understand that an additional Waiver & Release of Liability will be emailed to me upon registration. 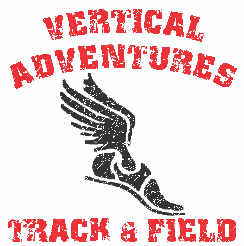 I understand that my child is NOT permitted to participate in the Vertical Adventures Jersey Jumps Beach Vault unless & until this additional Waiver & Release of Liability has been completed, Signed & returned to the event organizers! You'll be redirected to PayPal after you click "Register Now" to complete the online payment.